Over the last 20 years, solar power has become increasingly popular as a form of reliable renewable energy. And with the rise of new technology, innovations like solar roof tiles have made solar power even more affordable and accessible. In this article, we’ll take a quick look at some of the features of solar roof tiles — including their biggest benefits and drawbacks — and the top brands on the market today. Solar shingles are thin photovoltaic (PV) sheets that can replace or lay on top of existing roof shingles. The technology, also known as solar roof tiles, was pioneered by Dow Chemical and further innovated by Tesla. A solar shingle is meant to provide homeowners with an affordable, aesthetically pleasing solar energy panel that doubles as a weatherproof, protective roof shingle. Solar shingles are functionally similar to solar panels, with the primary goal of converting sunlight into electricity. However, solar shingles have several distinct and noteworthy features. Solar shingles are smaller than traditional solar panels and are comparable to traditional roofing shingles. The average solar shingle is about 12 inches wide by 86 inches long. A solar shingle array weighs about 13 pounds per square foot. The tiles are typically less than an inch thick, and a standard installation is approximately 350 tiles. Many PV shingles are thin-film solar cells (TFSC) made from copper indium gallium selenide, a semiconductor that allows the cells to be thin and flexible. This material is said to have one of the highest conversion efficiency rates, an average of about 10–12 percent. Other brands use monocrystalline silicon (mono-Si), a natural semiconductor used in making computer chips. Mono-Si cells have an average 15–20 percent efficiency rate but are generally more expensive. Depending on the brand and type of shingle you purchase, power generated by your solar shingles will vary. Most shingles produce between 13 and 63 watts. According to some estimates, 350 tiles can reduce the average utility bill by 40 to 70 percent. All systems require an energy inverter kit to harness the power captured by the cells, power systems, dive deeper into technical details and teach you more about solar energy. 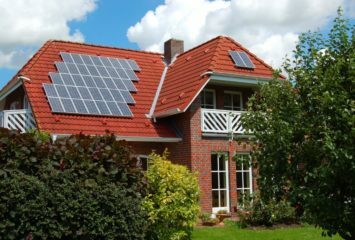 Although solar shingles and traditional solar panels perform the same function, each system has differences that come with pros and cons. Aesthetics is the most prominent difference between a solar shingle and a solar panel. Solar panels are often bulky, unseemly additions to your roof, whereas solar shingles can perfectly blend into the existing roof design. Installation is another big difference. Solar panels can be installed on nearly any roof, so long as it’s in good condition and gets adequate sunlight. In comparison, some solar shingles, like Tesla’s, require you to build a new roof. Longevity is among the more complicated comparisons with solar panels vs. solar shingles. A solar panel will typically maintain high energy efficiency for 20-25 years. 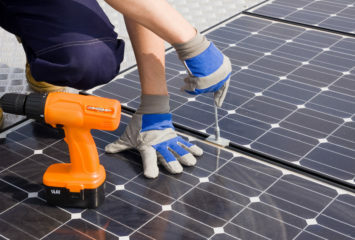 Solar shingle longevity is dependent on the manufacturer and the installer. For instance, Tesla’s solar roof shingles come with a 30-year power warranty and a durability warranty for the lifetime of your home. Other solar shingle providers, such as RGS Energy and its Powerhouse platform (adopted from Dow Chemical’s design), offer a 24-year energy production warranty. While the idea of saving the planet — as well as some money on your power bill — might be reason enough to purchase solar shingles, there are some notable benefits and disadvantages to consider before you install. Here are a few things to keep in mind before you re-shingle your home with PV cells. One of the main benefits of a solar shingle system compared to solar panels is the potential aesthetic appeal. Solar panels can be bulky and noticeably stick out from rooftops, while tiles are designed to match the existing roofing. Although solar shingles may not match all roofing exactly, they do blend in, creating a sleek, level appearance. Scientific American reports that solar shingles could lower monthly electricity bills by about 50 percent. Plus, residents who install Energy Star–approved solar-power systems before the end of the year will be able to put 30 percent of installment costs toward tax payment due. Although the solar shingle has discernable benefits compared to traditional solar panels, the technology is still new and relatively unrefined and has kinks to work out. Solar shingles may be less efficient than solar panels, especially if you use thin-film solar cells. Keep in mind that solar panels can also be adjusted to the best angle for sunlight exposure, but shingles cannot. This means you may need more shingles to achieve the same energy output, increasing your total cost. Among the biggest drawbacks to installing solar roof shingles is how much time it takes to install a solar shingle system compared to the average solar panel array. Despite technological innovations, a large solar roof installation can take up to a week, even longer if you’re rebuilding your roof for an embedded system like Tesla’s. In comparison, most standard solar panel systems are installed in a single day. The cost of a solar shingle system varies greatly with your home’s square footage, energy needs, shingle manufacturer and the solar installer. Some systems, such as RGS Powerhouse, may only run $15,000, whereas Tesla’s solar roof can cost upward of $70,000. We recommend requesting a free quote to get an accurate estimate for how much it would cost you to install solar shingles. The solar shingle industry is still in its fledgling stages, so there are not many options for consumers to explore. Most companies offering solar shingles today use one of two brands that have established themselves as leaders in the solar industry. If you’re interested in seeing if a normal solar panel system is a good fit for your home, explore our list of best solar power companies and discover what installer fits your needs. Tesla launched its solar roof tile in 2016 after acquiring SolarCity for $2.6 billion. SolarCity as a residential and commercial solar installer that offered solar leases. Since the acquisition and merger with Tesla, the company has focused on traditional solar panels and their futuristic solar roof product. Tesla’s Solar Roof is the elite solar roof offering on the market. It’s the biggest brand with the shiniest extras including Tesla’s own Powerwall battery and monitoring app for iPhone and Android. Unless you’re building a new house, reconstructing your roof, or you’re a Silicon Valley mogul, installing Tesla’s solar shingle may not be the best solar solution for you. It’s much more expensive than mounting solar panels to your existing roof, and a lot of what you’re paying for is the Tesla brand and a technology that hasn’t matured yet. If you’re still dead set on getting a solar roof, contact us for a free solar quote. Our solar experts will help you get the best deal on a new solar panel system. Dow has been a leader in solar energy innovation since 1994. The company recently departed the solar industry but before leaving, graced us with the Powerhouse solar shingle, which RGS Energy took under its wing. Powerhouse is the company’s official solar shingle system, and it comes with a solar monitoring system to show how much energy your system is producing at any time. We don’t have any pros or cons for RGS Energy or Powerhouse at this time. CertainTeed is known for building sustainable structures. Along with conventional roofing, the company specializes in manufacturing Apollo II solar roof tiles. 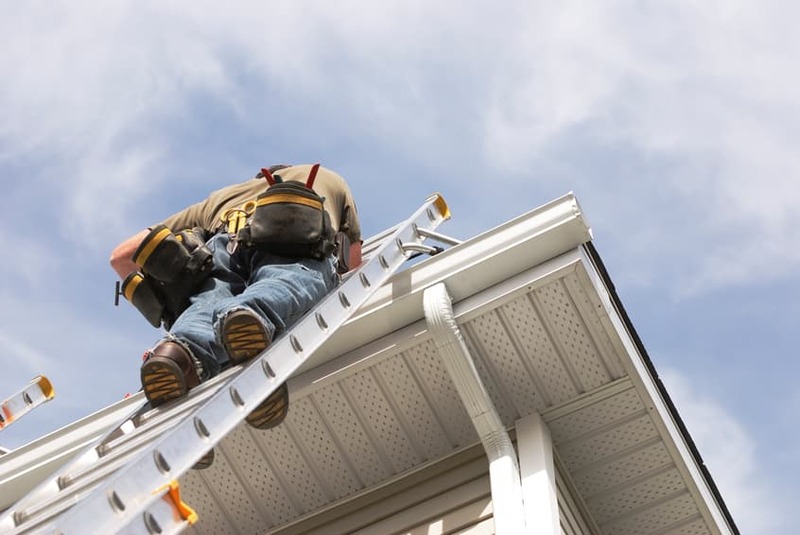 These shingles can withstand 250 pounds per square foot and winds up to 150 miles per hour. We don’t have any pros or cons for CertainTeed or Apollo II at this time. A solar roof tile system may not be right for everyone, but the advantages are clear. Whether you’re interested in saving the planet or just saving money, solar shingles can be a smart investment for anyone. If you’re ready to take the next step, give us a call to calculate the cost of installing your own solar roof tiles and find out how much you can save by implementing renewable energy in your home.